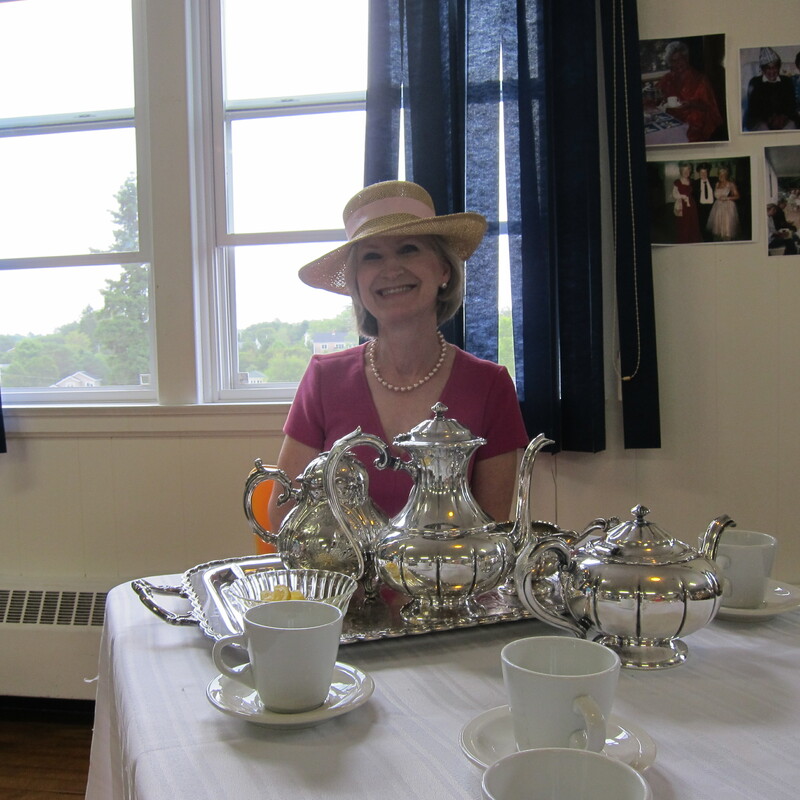 One of my favorite events of the year is the Annual Chester Flower Show and Tea in Chester, Nova Scotia, Canada. Every year I have been coming to Chester I have gone to the Flower Show and each year I enjoy it as much as the previous years. 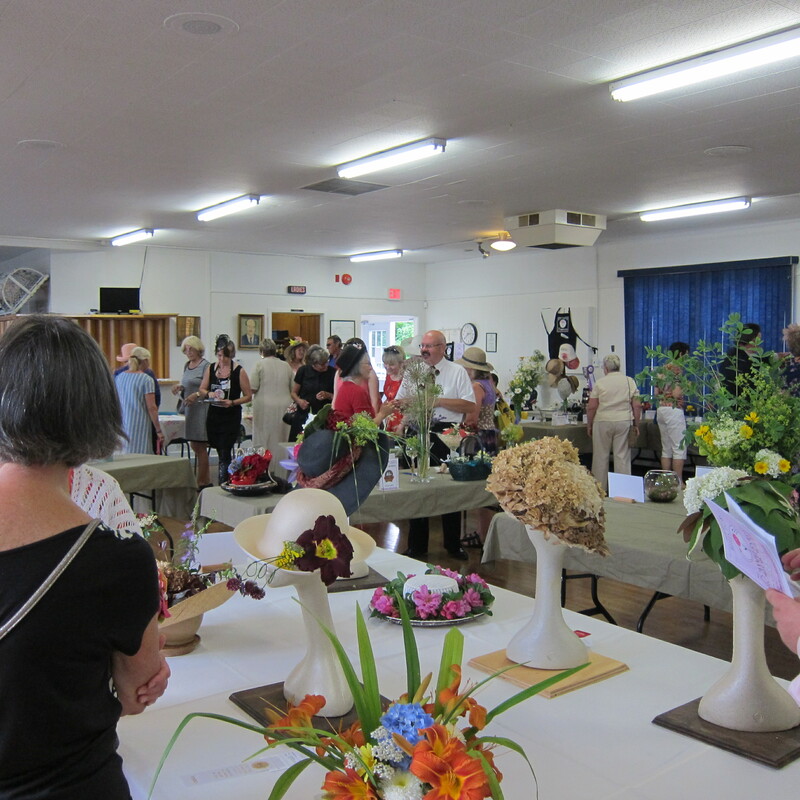 It is an old fashioned Flower Show, held in the local Royal Canadian Legion for one afternoon only. 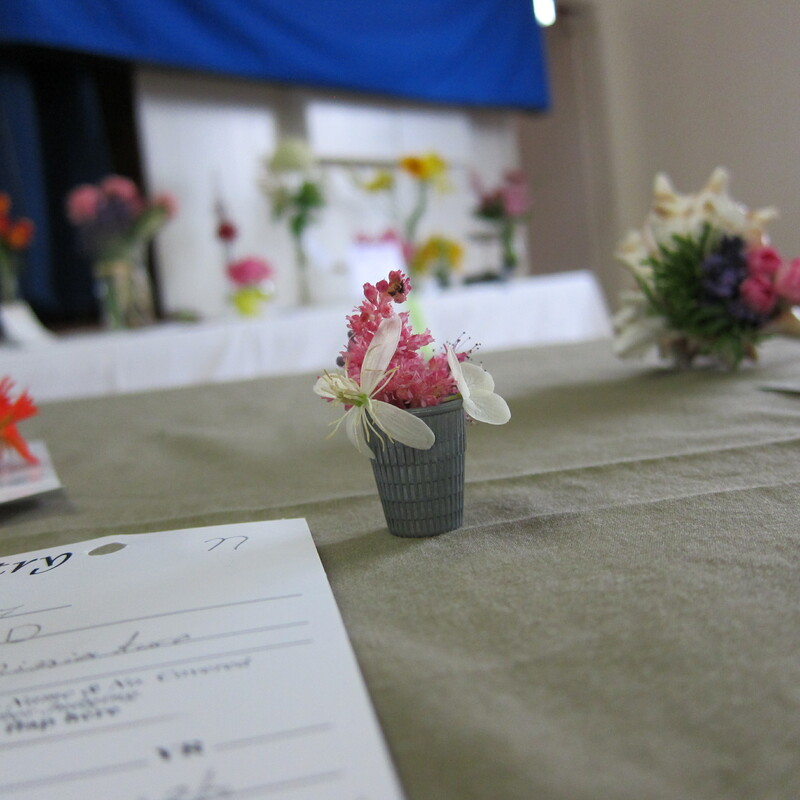 The entries are sophisticated to low key with the majority of material provided from the participants’ own garden, with an occasional tchotchke highlight. 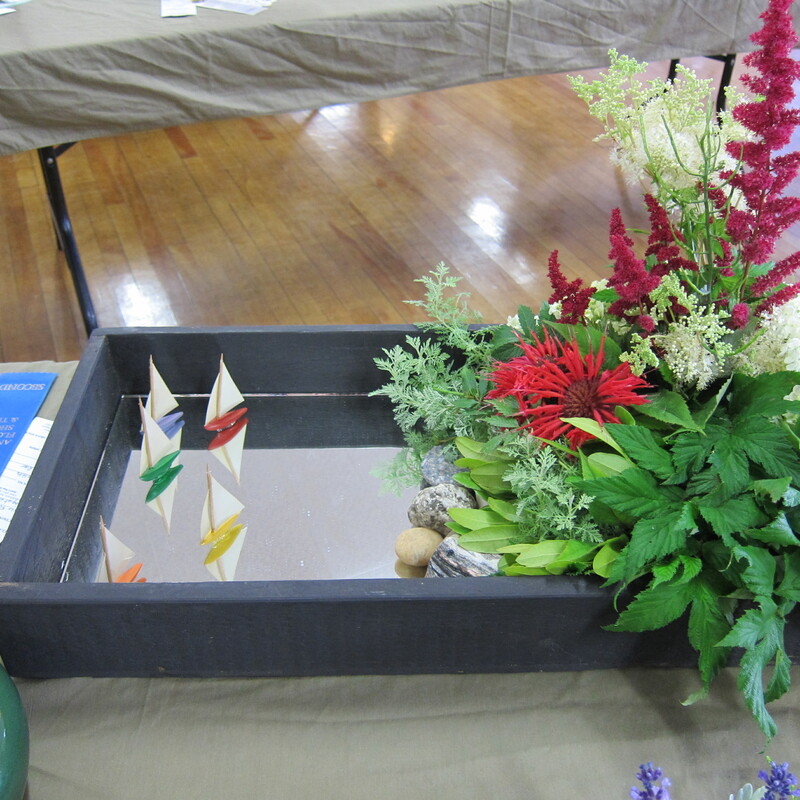 The diversity of participants range from winners of blue ribbons at the Philadelphia Flower Show to young children. 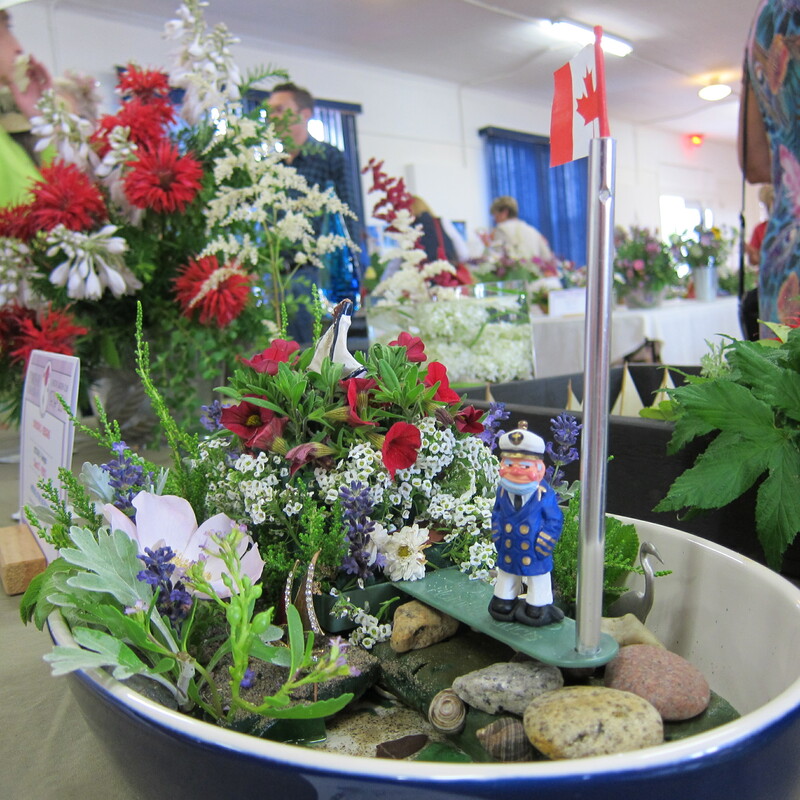 Chester is a town in the Canadian Maritimes so a nautical theme will often find it’s way into a flower display. High tea is served, with tea sandwiches and desserts and the tea itself is poured from a silver tea service!! Among my favorite exhibits each year are the miniatures. Although they are the smallest with the least amount of material, their diminutive size requires the most amount of scrutiny. 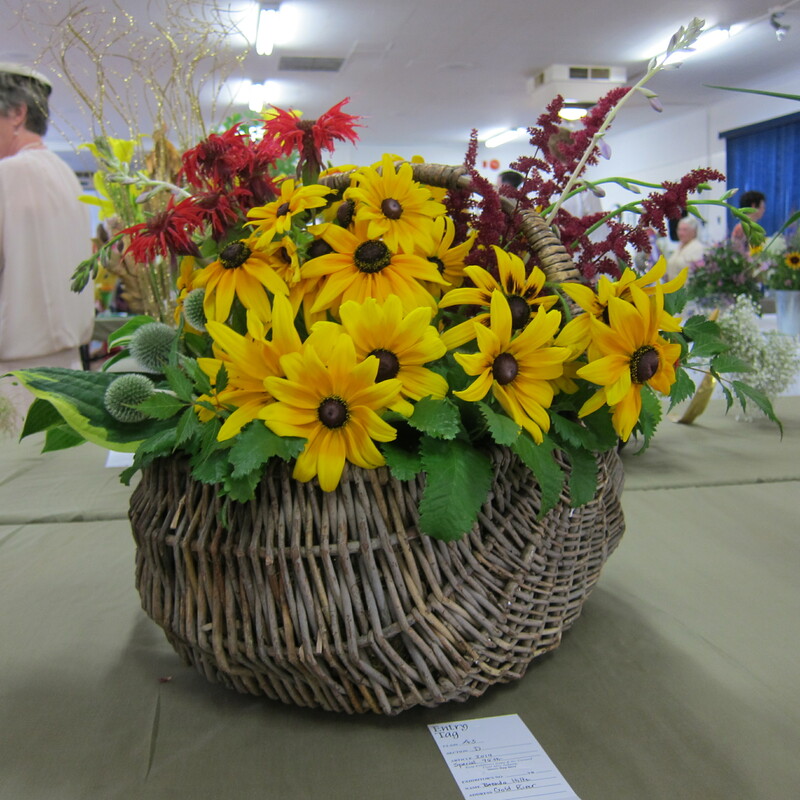 Part of the fun of the Flower Show is being able to vote for your favorite arrangement and hope that it wins the People’s Choice award. Every year I vote, but my choice has never won. Each year I can’t understand why not. This arrangement got my vote. Don’t you think its a winner? 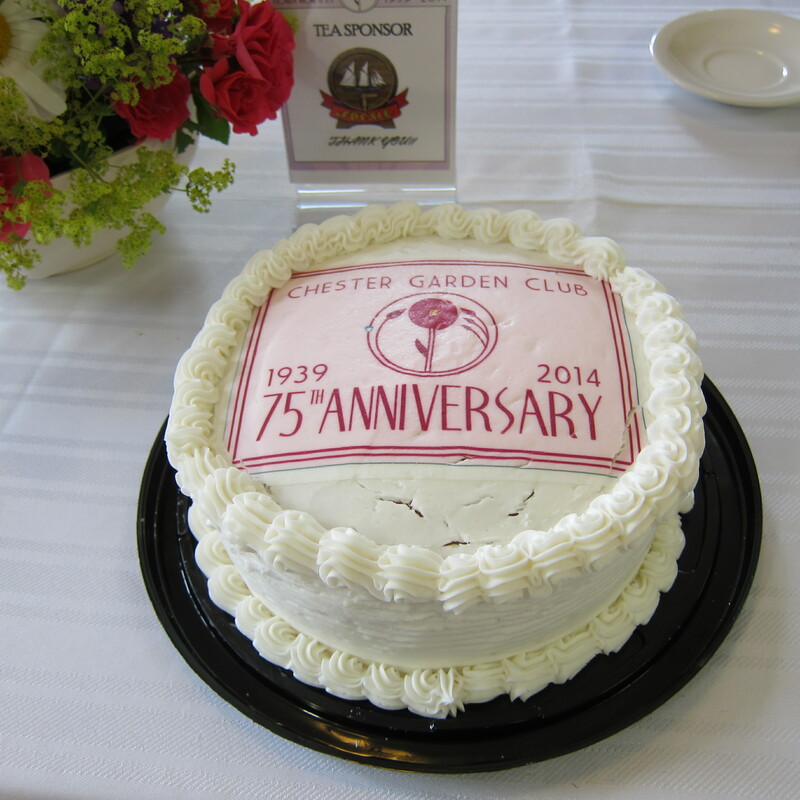 I love seeing people’s ideas come to life in small and large arrangements. You beat me to it! I’m still sorting through the many many photos (my own and other contributions) in preparation for posting them on our club blog tomorrow. Thank you for showcasing the Chester show and, next time, introduce yourself! I’d love to compare notes. 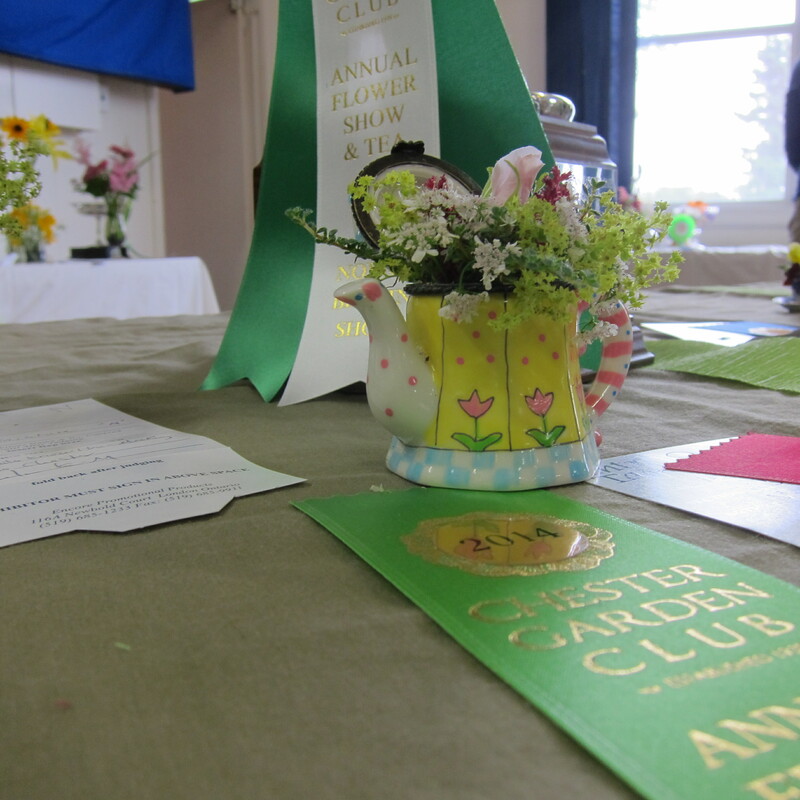 Local flower shows can be a lot of fun but I think I would like the tea and cake the best. The tea and cake are wonderful, but you would also love the flowers, trust me on this. What a wonderful show…and I agree the miniatures are definitely of fav of mine.